Congratulations - you’re engaged! Now comes the next important step: Choosing between the many beautiful diamond wedding bands for women that are available on the market today. With so many wonderful choices, it might seem impossible to pick one, but if you know your lady well, you should be able to find a unique and gorgeous ring that will be perfect for her. If you can’t, then Juno Jewelry will help you customize one! If you want to be unique and guarantee a positive reaction at the same time, a good option is to choose a customized ring that offers an interesting or modern take on a classic style. For example, if you know your bride-to-be loves the look of a classic princess-cut setting on a plain band, you can add a new twist by choosing rose gold for the band instead of classic gold or platinum. Rose gold adds an alluring touch of color and romance without distracting from the beauty of the diamond. Details are what create uniqueness, and by choosing diamond wedding bands for women that feature a lot of small details, your lady is more likely to end up with a ring that isn’t similar to anything owned by her friends. If you want the ring to be as unique as your love, consider the finish, the engraving and other small details that will make it stand out. 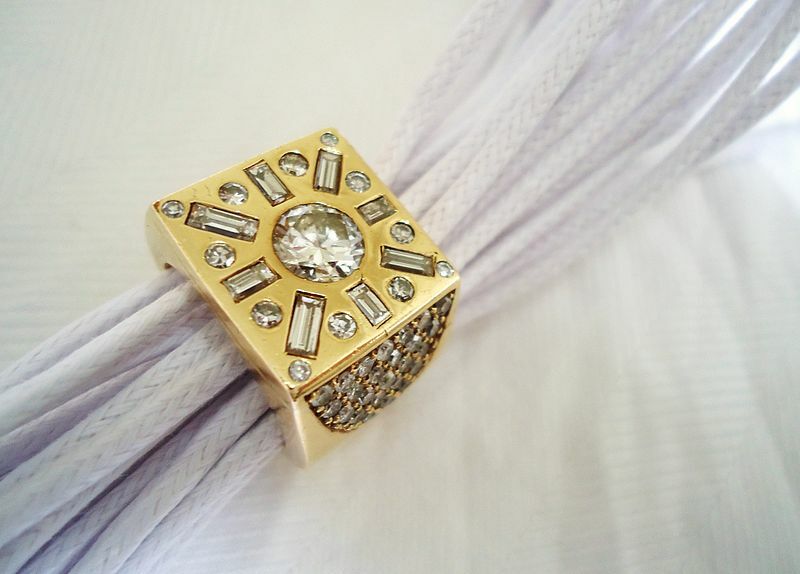 A vintage-inspired ring creates a feeling of classic romance. Like an old lacey dress or set of pearls, it has a story to tell. Vintage-style diamond wedding bands for women also offer many of the small details mentioned above. Whether you go for a mix of gemstones or a finely detailed band, choosing a vintage-inspired ring is a good way to end up with something beautifully unique. If you choose eternity diamond wedding bands for women, which feature small gemstones set all around the band, you will have the option of mixing up the gemstones to create a truly unique piece. Most eternity rings feature plain diamonds, but you can have a ring customized to include brilliant sapphires, rubies, emeralds or any other colorful stone. Another fun option is to choose her birthstone, which will show that you truly care and put a deep amount of thought into the ring. The simplest and most common way to ensure that you end up with a unique ring is to have it personalized. Whether you choose a funny inside joke, a select line from your favorite song or the date the two of you met, she will be sure to feel moved when she sees that you had the ring engraved just for her. If you need help choosing a unique and beautiful ring for your bride-to-be, contact Juno Jewelry today. We offer a number of customizable rings and can guide you through the exciting process of making an already gorgeous ring even more special.